Now that school is back in session, kids are getting ready to suit up once again to play their favorite sports. 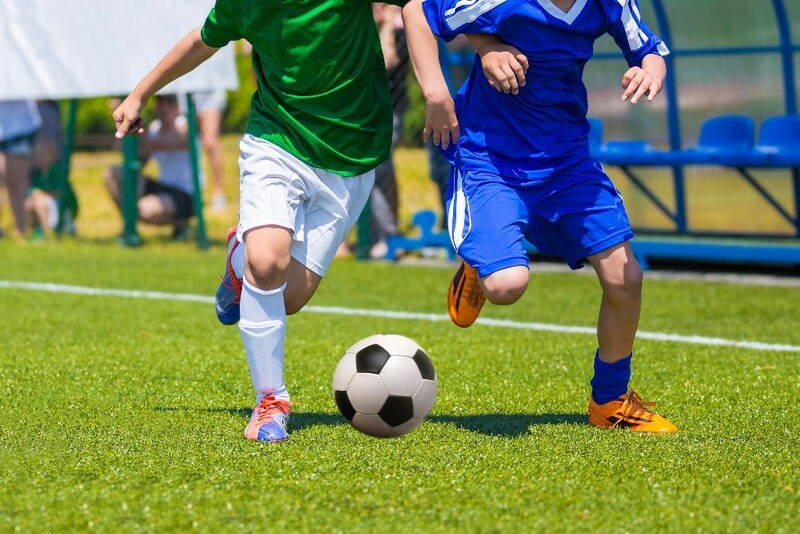 Whether it’s football, soccer, ballet, or cross country, it is very important to feed your children the correct portions and foods to keep them performing at their best. Did you know your active child may require 200 to 400 more calories per meal? Choose whole-grain pastas, cereals, breads, fruits, vegetables, beans, brown rice, and potatoes instead of white varieties because they contain more nutrient-rich carbohydrates. Luckily, whole grain options are the only choices available when ordering from WT Café. Athletes need high quality protein foods to build and repair body tissues, which take a beating with consistent, rigorous workouts. Athletes should consume a wide variety of high quality lean protein foods such as chicken, turkey, beef, pork, soy, eggs, beans, and milk – all available on our menu. Fat is needed in the diet — but it’s important that it’s the right type of fat. Kids should incorporate a variety of natural fats into their daily diet such as oils, seeds, olives, and avocados. Staying properly hydrated contributes to good health. When exercising less than 60 minutes, water is the best drink to replace lost fluids. If exercising more than 60 minutes, all-natural sports beverages diluted with water or coconut water with electrolytes are the best ways to replenish lost fluids and energy. When browsing our menu for breakfast and lunch options, keep an eye out for the blue & green medal icons. These icons indicate which meals will best suit your athlete’s diet to give them the energy they need to score the winning goal. For more information on our Athlete Program, such as post-workout and pre-work pre-workout snacks as well as other helpful resources, visit wtcafe.com/Athletes.